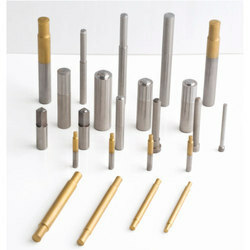 Providing you the best range of ko pins & piercing punches and punch & ko pin collets with effective & timely delivery. MDW Products are made from the best imported tool steel avaliable in the international market. Dies are designed to resist the highest of impact & thus have long service life. MDW provides constant size & finish, as all the size are produced in mass quantity. Designed to meet international standard & can be used on the top most popular & best avaliable makes of bolt manufacturing machines. Heat treatment of dies is done on the latest & best avaliable equipment, hence better wear resistance & across flat control. Reduce production cost significantly as down time in tool change is minimised when MDW dies are employed. 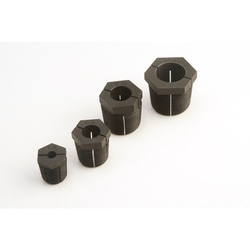 Apart from the above mentioned list of products, we also manufacture machine parts & tools for slotting & tapping machines along with other machinery spare parts and special tools & dies. Made from High quailty tool steel. Special Size can be made as per requirements.